Blackjack is one of the most iconic casino card games, and now that you can play it online, the game is as popular as ever. Like many casino games, online blackjack has a far wider player profile than it had at land-based casinos. This is because anyone can have a try at blackjack, whenever they want to. There’s no need to get yourself down to a casino, you can just try the game out online at home and, if you’re rubbish at it and play really badly, no-one need ever know. And if you play at 32red casino online, you can try out different variations of blackjack for free in practice play. There’s no need to put any money down until you’re confident that you understand how the game works, and what the rules are. In fact, even when you have opened an account and put down a cash deposit, you can still choose to play in practice play mode at any time; really handy when your funds run low but you still want the fun of playing. Whichever type of blackjack you play, the objective is pretty much the same. You aim to have a hand that totals 21 or as close as you can get to that without going over, and that beats the dealer’s hand. 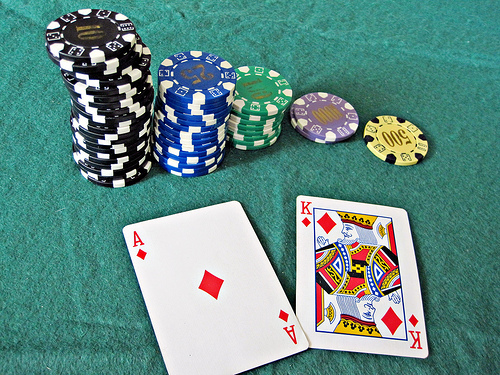 If you get blackjack (an Ace and a face card), you’ll win the round; unless the dealer also has blackjack, in which case it will be a ‘push’ where no money is won or lost and your bet is returned to you. However, once you start playing blackjack, you’ll see that there are many different options that you can choose to take or not. For example, when you’ve placed a bet and been dealt your first two cards, you need to decide whether to ‘hit’ or ‘stand’. If you choose to hit, you take another card, which may get you closer to 21 or it may push you over that total – meaning you have ‘bust’ and lose your bet. If you stand, you don’t draw another card – and see if that total beats the dealer’s hand. That’s not the end of it, though. There are plenty of other blackjack strategies to get to grips with, two of which you’ll often hear about; splitting a hand or choosing to double down. If you’ve been dealt a pair, you can choose to split the hand in two and draw an extra card on each. Your original bet will be doubled and you’ll play the two hands in turn. There are different schools of thought on when to split or not. Generally, though, most players would agree that it’s worth splitting a pair of 8s as a total of 16 on two cards is one of the worst hands in the game of blackjack. By splitting the 8s you have a reasonable chance of getting at least one good hand. Another pair that is always advisable to split is two Aces, as you then have two bites at the cherry of getting a face card and getting blackjack on one of the new hands. But if you have two 10s, you may as well keep them together – 20 is a good hand in blackjack and you stand a good chance of beating the dealer if you stand. You can read more about it here. a soft 17 or 18 when the dealer’s card is 3 to 6. Until you start playing blackjack yourself, these different strategies may seem confusing and that’s why it’s a good idea to make use of the practice play games. That way, you can build up your experience, making as many mistakes as you need to along the way. It’s not going to cost you anything until you start playing with real money.